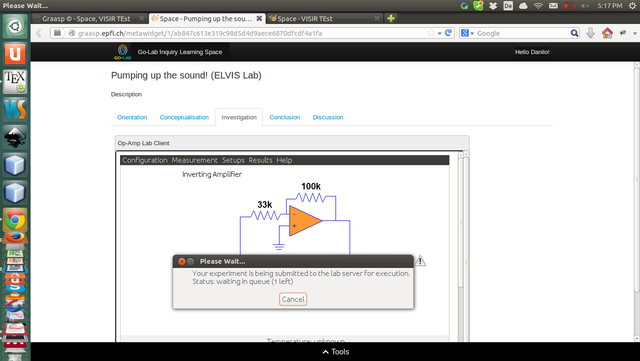 This lab allows users to perform some experiments with an OP Amplifier. 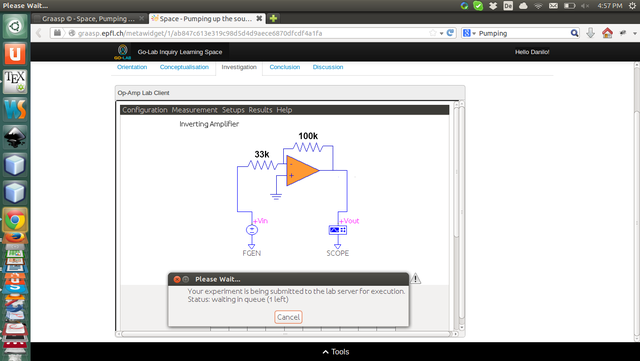 There are four real instruments connected to a PC over GPIB (scope, function generator, variable power supply and a digital multi-meter). 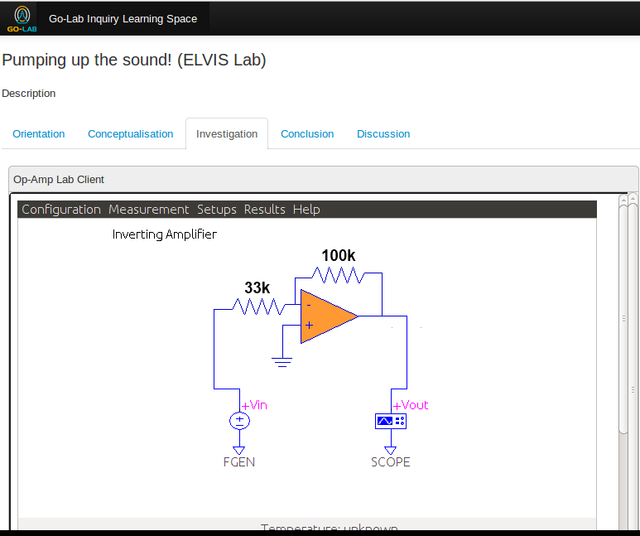 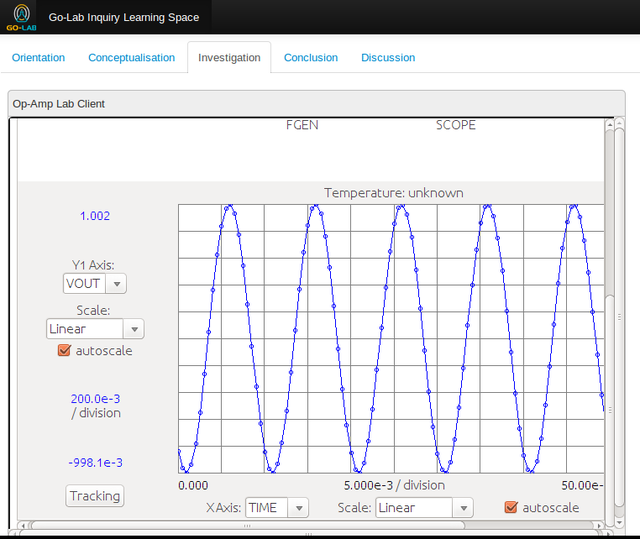 The primary aim of the lab is to demonstrate how operational amplifiers work, measure Op-Amp gain and compare with calculated values.